Well, let’s see if Nature Publishing Group actually does the right thing here. 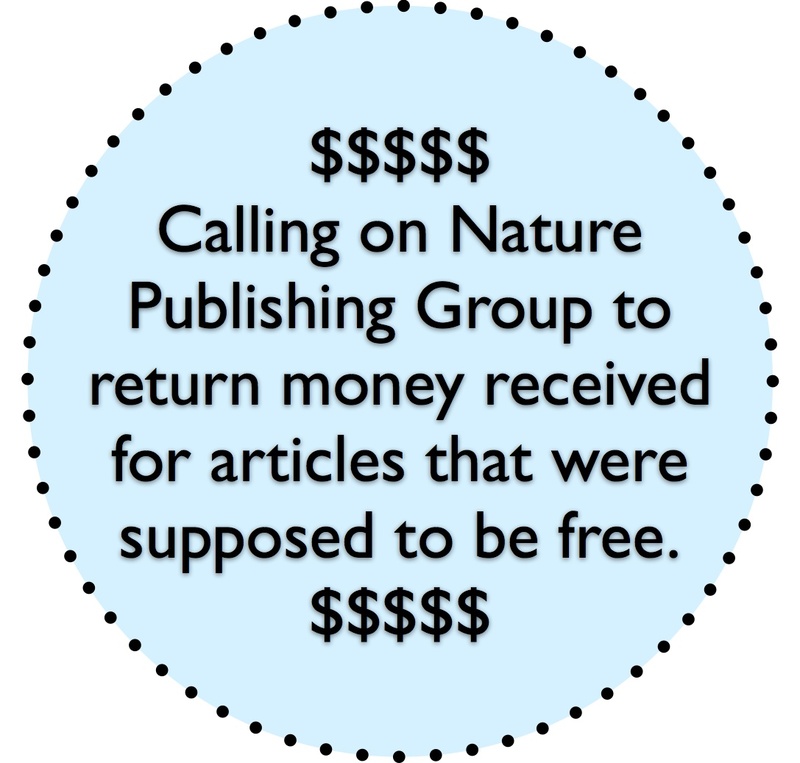 A few days ago I showed that they were charging for access to “genome sequencing” papers that were supposed to be freely available (see Hey Nature Publishing Group – When are you going to live up to your promises about “free” genome papers? #opengate #aaaaaarrgh). And in researching this I then discovered that Nature Publishing Group has been charging for access to corrections of articles (see Nature’s access absurdity: Human Genome Paper free but access to corrections will costs $64 and Corrections Scamming at Nature: Tantalizing clues, to see errors just pay more money #Seriously?). Multiple people from NPG have posted on my blog and twitter that they are working on “fixing” these issues. By which I think they mean “We will make these freely available again.” But this is not a full fix. NPG really needs to do a self audit and return ALL money that anyone has paid for access to these articles. Charging for something that is supposed to be free is not a good thing … and if they want to really fix the issue they need to give any money they got for these papers back. Note – I already called for them to do this last year when I wrote about the genome papers not being free. But I never heard back. Please help put the pressure on them to do the right thing this time. Previous Previous post: Corrections Scamming at Nature: Tantalizing clues, to see errors just pay more money #Seriously?